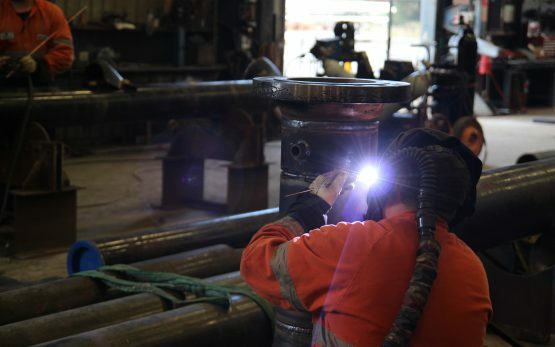 With workshops in Nelson and Greymouth and over 80 qualified trade’s staff; our facilities can produce up to 600 tonnes of heavy fabrication per month. 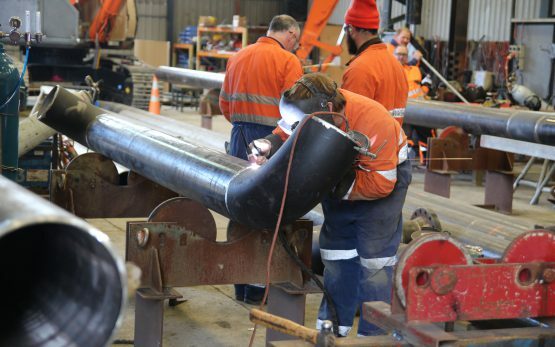 As one of the largest independent engineering companies in the South Island, we provide a wide variety of fabrication services throughout New Zealand. 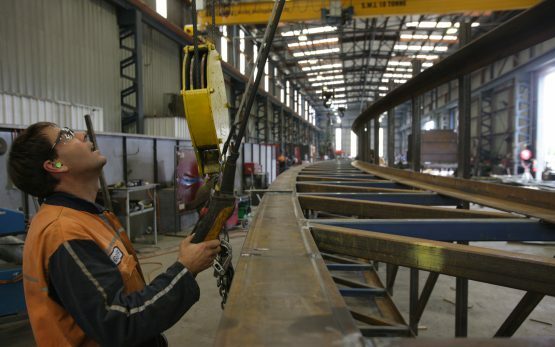 For projects that require larger volumes we have partnerships with overseas fabrication companies raising our capacity to meet any fabricated steel volume requirement. Supporting our trades staff are a team of production engineers, estimators, designers and project managers enabling us to provide a complete range of services to our clients from initial design through to fabrication and site installation. 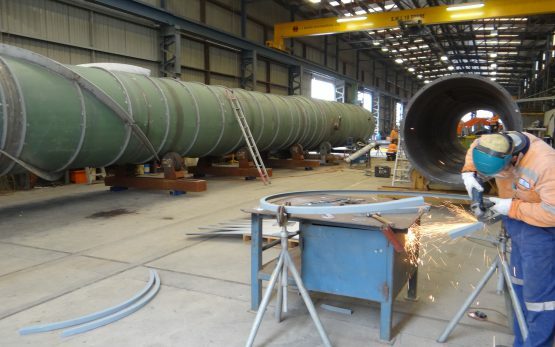 Brightwater’s main fabrication workshop is based in Nelson. With a floor working area of 1600m2, accessed by double entry doors 14m wide by 6m high, it is capable of producing significant quantities of fabrication per month. 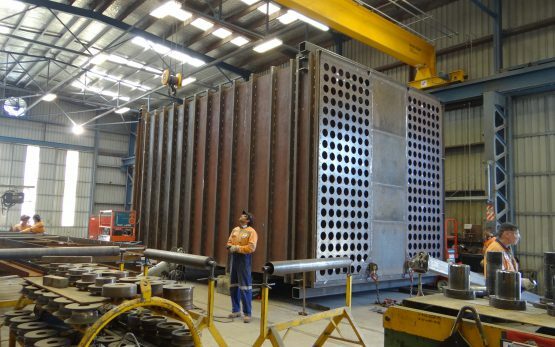 Brightwater subsidiary Gray Brothers Engineering (GBE) has a proud history of providing a wide variety of fabrication services to the West Coast and Canterbury regions. GBE’s 860m2 fabrication workshop is capable of producing significant quantities of light to heavy fabricated structural steel. 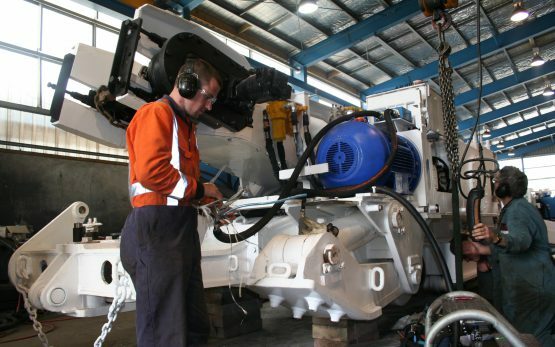 Both the Nelson and Greymouth workshops have fully equipped Machine Shops. 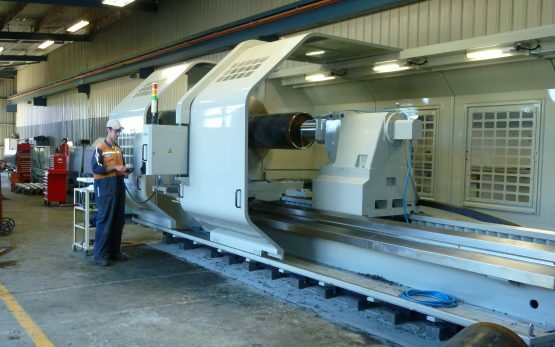 Our experienced and highly capable machinists specialise in CNC production turning and milling. We are able to provide machining services for both mass volume repetition as well as one off custom parts. The ability to complete machining and inspection within our own facilities enables us to provide a seamless, cost effective service for our customers and engineering partners. Brightwater has two under cover Blast and Paint facilities capable of handling large volumes of prefabricated and fabricated steelwork. 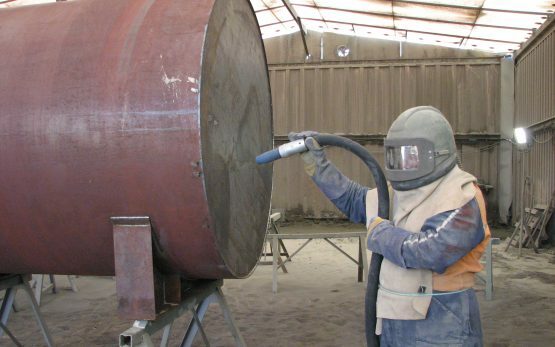 Our dedicated blasting and coating applicators are experienced in a wide variety of media blasting and coating applications. An in-house Coating Specialist and QA Inspector ensure quality control throughout the entire process guaranteeing the final product meets the most stringent requirements and specifications. Zero Harm is a core value of Brightwater’s and the Health & Safety of our staff is paramount. Having significant experience in undertaking large and small scale projects has given Brightwater the internal structure, processes and support staff in order to create a strong Health & Safety culture and performance. All work carried out by Brightwater is done in accordance with our stringent H&S policies and monitored by our Health & Safety Advisor. Our safety record translates into lower insurance and liability rates, therefore reduced costs and risks to our clients. In every fabrication project we undertake our clients are appointed a Brightwater Account Manager whose responsibility it is to ensure there is constant collaboration and clear lines of communication. This single point accountability enables our clients to have consistency of delivery as well as having transparency throughout the lifecycle of the project. The Brightwater Quality Management System (QMS) covers every facet of our business. The QMS is segmented into business units with clearly defined responsibility and accountability. Corrective action, improvement requests and customer feedback (CIC) is integral to ensuring the QMS is kept right up to date. Complimentary to our QMS, we have in-house qualified staff carrying out quality checks at designated stop points during the fabrication and build process. These typically include raw materials validation (mill certifications etc), raw materials deliveries, dimensional check of fabricated items pre-welding out, post welding dimension/alignment checks, visual testing and magnetic particle testing.